In four decades of independence, Zambia has found peace but not prosperity; today it is one of the poorest and least developed nations in Africa. Around two-thirds of Zambians live below the international poverty line – this translates to 7.5 million people. Over two-thirds of the population live on less than $1 a day and life expectancy stands at just 38 years. Zambia’s education system has suffered a decline over the past 20 years. Despite the government’s reforms, there has still been a lack of investment in education. Yet with half of Zambia’s population under 18, education needs to be a key priority area and we are addressing this issue every day. 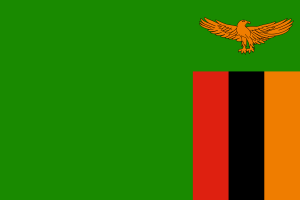 African Revival Zambia currently works with 17 schools in the Kalomo District in the south of the country. Focusing on three key development areas, we have delivered new educational opportunities for 7,000 pupils and 150 teachers in the district so far. We assist each school with projects designed to help improve their learning environment and quality of education, in line with their priorities.